Public servants are the biggest beneficiaries of the tax reliefs on pension contributions, a new report has found. This means that any move to reduce the tax reliefs will hit Government workers hard, prompting them to seek higher pay. The paper, by leading pensions actuaries Tony Gilhawley and Roma Burke, found that the State’s contribution to the pension of an average public servant recruited before 2013 is 29pc of their salary, rising to 53pc for gardaí. Private sector workers with a defined contribution pension have an average employer contribution of just 7pc, the paper states, quoting Department of Public Expenditure and Reform figures. “If you want to retire on a good secure pension don’t work in the private sector. Join the public service,” the actuaries state. The paper also found that the cost of paying pensions to retired public servants will have jumped by €1bn next year when compared with 2016’s figures. 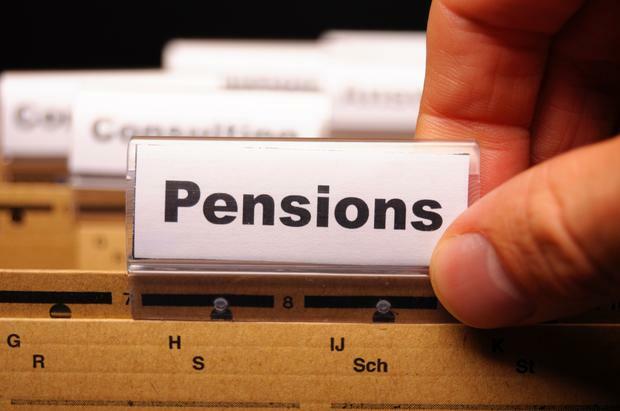 Despite this, the authors contend discussions on equity in the pensions system focus on the tax reliefs for personal contributions into pensions. Under the tax relief system, a higher rate taxpayer gets a tax rebate of €400 for a €1,000 pension contribution. Those on the 20pc tax band get €200. Mr Gilhawley and Ms Burke said this was inequitable, and it was not surprising the 70pc who claim pension tax relief are higher-rate taxpayers. But just 13pc of the €2.5bn cost of private tax reliefs was accounted for by higher taxpayers. “What is not generally understood is that most of the cost of pension tax relief relates to the public service, to the State’s own employees. “We estimate that 53pc of the 717,300, who Revenue report claimed pension tax relief on personal contributions in 2015, worked in the public service. “And being paid 40pc more on average than private sector workers, they paid higher contributions and hence got more tax relief,” the actuaries state. The implication of this was that enforcing a system where all pension contributions would only qualify for 20pc tax relief would not work. The actuaries said the public service will probably escape it by getting a compensatory salary increase. The real run-away cost is what the State is paying out on pensions to already retired public servants, they state. The costs for this have gone from €3.3bn in 2016, to €4.3bn next year, according to Department of Public Expenditure and Reform figures. A spokesman for trade union Fórsa, which has a large number of public sector workers, said the key issue was the fact that 1.1 million workers in the private sector have no occupational pension and will only have the State pension to fall back on. “The massive paucity of employer-supported occupational pension schemes in the private sector is the most significant problem faced by the State and the working population,” said the spokesman. This was why Fórsa was continuing to call on the Government to get a move on with auto-enrolment, to provide a pension for the 70pc of workers with no occupational provision, he added.